The rehabilitation and rebuilding works - as finalised by the Cabinet under the CM - are currently going on in a war-footing, without any hindrance. 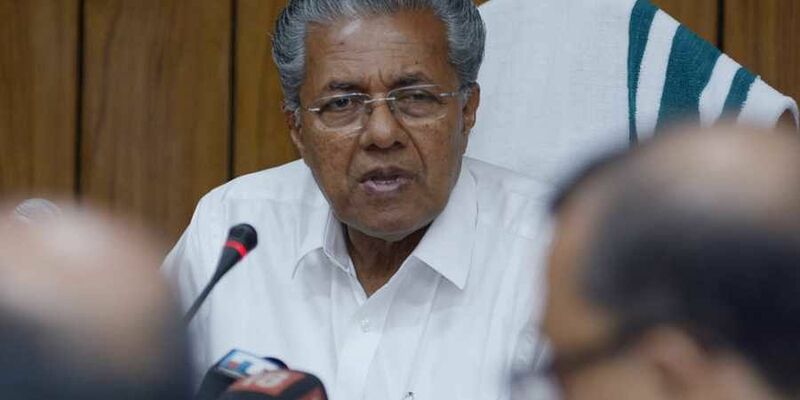 THIRUVANANTHAPURAM: After going to the United States for treatment, Chief Minister Pinarayi Vijayan cleared as many as 316 files between September 3 and 9, said the CMO. Hours after Opposition leader Ramesh Chennithala lashed out at the Chief Minister and the government for administrative standstill, the Chief Minister’s Office termed the charges baseless. It’s only a move to gain political mileage in the absence of the chief minister, it alleged. The rehabilitation and rebuilding works - as finalised by the Cabinet under the CM - are currently going on in a war-footing, without any hindrance. “Even though the CM is out of station, he himself takes decisions on all important issues on a regular basis and issues necessary directives. The CM has been interacting with ministers and senior bureaucrats. Hence, there were no hindrance to running of administrative matters,” said the CMO. In a detailed statement, the CMO pointed out a Cabinet sub committee has been operational to coordinate relief and rehabilitation works. The panel has been functioning in an efficient manner. The committee reviews relief and rehabilitation works and takes necessary decisions to coordinate the same. The CMO said the cabinet has been functioning with a collective responsibility. Though the CM is out of station, the ministers have been taking collective steps to take forward the relief works. Currently, the ministers are working with resource collection in various districts. Those who are not part of the Cabinet sub committee will continue to discharge this duty on Wednesday also. Various agencies and establishments have been approaching the government with proposals to rebuild Kerala. There are adequate steps taken to streamline the same. The CMO pointed out the representatives of World Bank, ADB and International Finance Corporation have held talks with the CM on August 29. Following this, the World Bank - ADB team has been assessing the total damage to the state. The assessment will be completed in 2 to 3 days. After that, a decision on financial assistance to the state will be taken. It’s expected the WB- ABD team will submit its assessment report to the state government before September 20. Of the 6,05,55 people eligible for financial aid of Rs 10,000, as many as 4,95,000 were given the aid by Tuesday. The remaining will be given assistance by Wednesday. Kits distributed to 7,18,674 families. Draft for distributing essential items to the deserving has been prepared. Once the Cabinet panel clears it, the distribution will begin. CM Pinarayi Vijayan checked and cleared 316 files between September 3 and 9. All arrangements have been made to clear the files through electronic system.